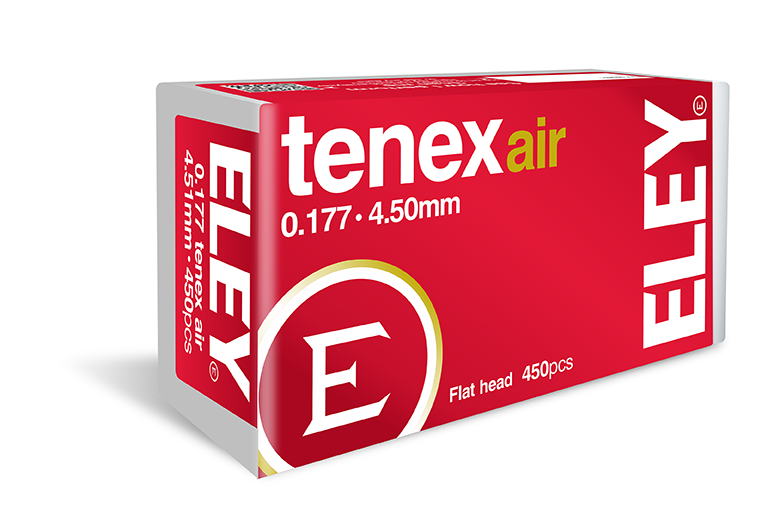 In 2018, as we celebrate our 190th anniversary, we are launching a new air pellet product which bears the historic tenex name and standards: ELEY tenex air. In 1951 ELEY redefined the potential of the .22LR cartridge with ELEY tenex: elite rimfire ammunition for the most discerning shooters. Continuous development and evolution has since maintained our competitive advantage and helped our consumers reach their potential. 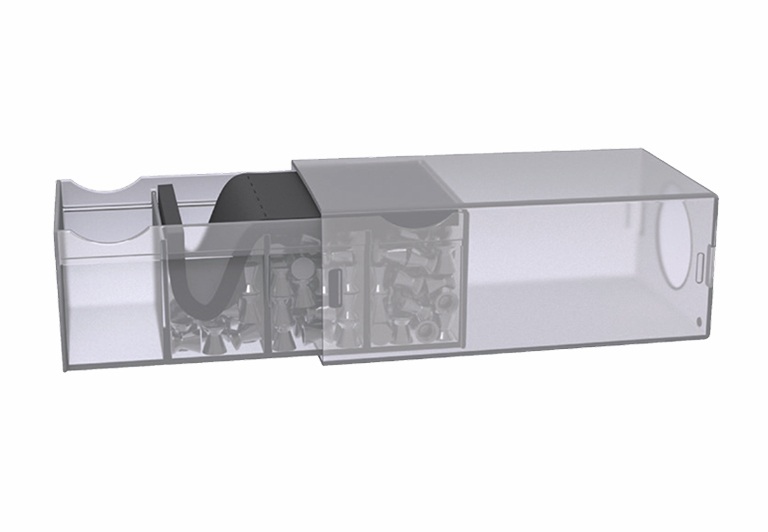 An extensive research program revealed the vital features necessary to advance air pellets to the next level; pellet profile, dimensional consistency and weight control were identified as the key parameters affecting accuracy. ELEY’s team spent years experimenting, refining and testing, and in 2017 launched ELEY ventus our match-grade pellets. The team continued their product and process development to ensure medal winning performance at the highest levels. The result is ELEY tenex air. The essential statistics are .177 calibre, 4.49/4.50/4.51 diameters, and 8.2 grains. The key to consistency is in the materials selected, manufacturing techniques deployed, and the analysis and selection processes used to maintain the industry’s strictest standards. 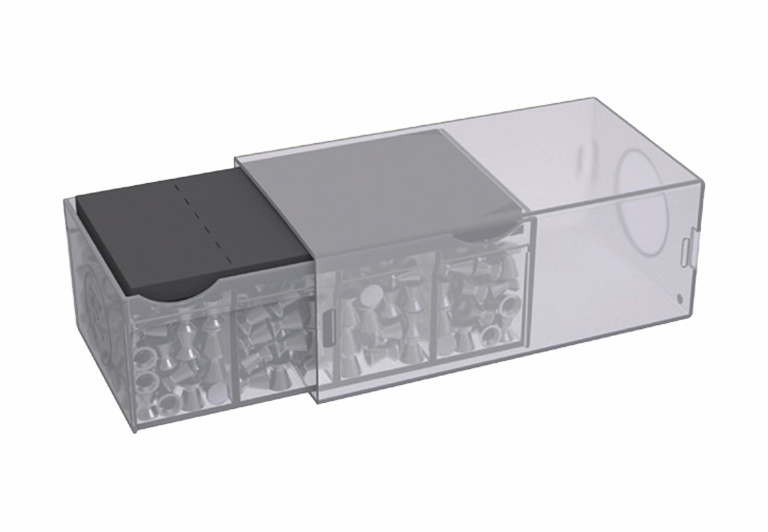 ELEY tenex air pellets deliver exceptional accuracy, 30% greater weight control than any competitor, and damage-resistant packaging. The proof of their performance is in their early success: We gave prototype pellets to three elite shooters at the European Championships in Hungary and the ISSF World Cup in Mexico. We came away with four medals and a new World Record. ELEY tenex air pellets are available to test now at ELEY’s UK customer range for the best performance in rifles and pistols.